As Ted Nugent albums go this is pretty average. 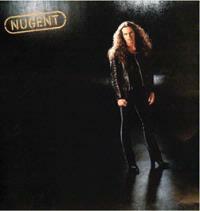 That said, an average Nugent album is still pretty darned good. Much of the material here skirts the “generic” zone. The closing “Tailgunner,” though would be worth the ticket price all by itself. It doesn’t hurt that a lot of the rest of the disc is pretty darned good, too. This is another of the new reissues that Eagle Rock is putting out from the Nugent catalog. Starting mellow, this is a straight ahead Nugent rocker that works quite well. It’s a real screamer. The riff that starts this off is classic Nugent. In fact, this really feels like it could have come from Free For All. It’s more of a rock and roll song and less screamer than the opener, but it’s a good tune either way. Lyrically this is about America standing up and defending itself – so, a Nugent political theme. Take a Montrose classic rocker and bring it into Ted Nugent’s musical world and you have a good idea of what this sounds like. 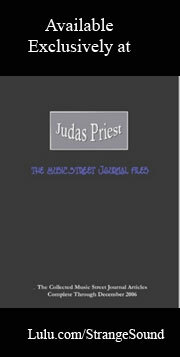 You might hear some hints of AC/DC in this, but overall it’s vintage stripped down rough and ready Ted Nugent music. Other than a killer slower paced guitar solo this one is kind of average. It’s not all that Nugent-like and just sort of generic. It feels a bit like an after-thought. Now this is more like it. It’s basically “Johnny B. Goode,” but with Nugent lyrics and Nugent style. It’s a good rock and roller and quite tasty. Here is another that suffers a bit from being trite. It’s a good tune, but nothing special. Once again Nugent follows a lackluster cut with a screamer. This is one of the hardest rocking tracks on show here and is based on a killer riff. They saved the best for last. This is one of those meandering guitar dominated jams that Nugent has done for a long time. It’s over seven minutes in length and just plain screams. This one by itself would be worth the price of admission here and it’s a great way to guarantee the listener will be heading for the “play” button to start it all over again.